PostLinks.com was originally designed as a monthly link platform. Things change so frequently on the internet, and this was the best way to ensure that our Advertisers only paid for links on sites with the PageRank that they paid for. 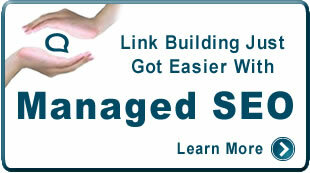 But, recent changes to our system have made it possible for us to offer a permanent link solution. With Permanent Link accounts, all links are created using queues. You simply specify the number of links you would like to create, the PR of the sites on which to place them, and whether you would like them placed all-at-once, daily, or weekly. Once the queues are created, our system automatically replaces any links that are removed for one year. Permanent links are especially useful for PostLinks.com API users and SEO companies that charge their clients a flat rate. For example, let's say that you charge a client $1 for a PR1 link. With the Monthly Basic Membership Plan, your cost would only be $0.05, but you would pay $0.05 every month. So, every month that the link is live, your profit would get smaller. After 20 months, you would end up coming out of pocket for the link. With a Permanent Basic Membership Plan, you would be charged 1 credit or $0.50. That would mean you would make 100% profit! To start purchasing Permanent Links through PostLinks.com, simply register for a PostLinks.com account. In your control panel, you will see a link to upgrade your plan. From there, you can choose to be a Permanent Link member or a Monthly member. Permanent Links with PR for as Little as $0.20! How long do you guarantee that the links will be around? For one year, we will automatically replace any links that are removed. Can I buy both permanent and monthly links? We can easily convert your existing account to a permanent link account, but if you want to buy both link types, you will need two separate accounts. Contact us and we will help you get started. If I remove a permanent link, do I get my credits back? You can remove permanent links within 7 days and the credits will be returned to your account. After 7 days, your credits will not be returned. If a publisher leaves or removes the link, the credits will be returned to your account.